The author of Frommer's Orlando guidebook returns with ideas for enjoying central Florida beyond the big theme parks. Then Tampa Bay Times reporter Craig Pittman discusses what makes his home state one of a kind — and much more than the target of punch lines. Plus, writer and trespasser extraordinaire Ken Ilgunas describes his hike from the tar sands of Alberta to the Gulf Coast of Texas. Jason Cochran, editor-in-chief of Frommer's Travel Guides, and author of "Frommer's Easy Guide to Disney World, Universal, and Orlando"
Jason Cochran writes Frommer's Easy Guide to Walt Disney World, Universal, and Orlando. The Visit Central Florida website includes tips for visiting Winter Park and Legoland. The Universal Studios theme park has a new ride based on TV host Jimmy Fallon. The Kennedy Space Center is open for visitors. De Leon Springs State Park (as in Ponce De Leon) is just north of Orlando. 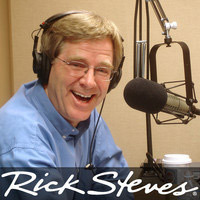 Jason Cochran provides tips for visiting the Disney theme parks near Orlando, in his interview on Travel with Rick Steves program #486, from June 2017. Craig Pittman is an environmental reporter for the Tampa Bay Times. Craig's book "Oh Florida!" is published by St. Martin's Press. It won a gold medal for non-fiction in the 2016 Florida Book Awards. Police have identified a golf cart theft ring at The Villages, Florida. Sanibel Island is home to the National Shell Museum. The Salvador Dali Museum is in Saint Petersburg, Florida. The Miami Book Fair is held in November. The Florida Cracker Trail Association sponsors a cross-state horse and wagon ride re-enactment in February. Registration opens up in October. Ken Ilgunas' website and Facebook page. His book, "Trespassing Across America" is published by Penguin-Random House. A review by the Los Angeles Times includes photos from Ken's trip. The BBC analyzes the controversies behind the Keystone XL pipeline route across Canada and the central US. Wikipedia discusses the Keystone XL pipeline. The TransCanada-Keystone XL website maps the route extension through Montana, South Dakota and Nebraska. Some Midwestern farmers and ranchers are erecting solar panels on their land, to impede the route of the proposed oil pipeline. Ken Ilgunas describes more about his walk across America, from north to south, in Travel with Rick Steves program #471, from January 2017. Ken Ilgunas' latest book, "This Land is Your Land," deals with the right to roam in America.